Family & MWR Special Events supports Fort Rucker's Soldiers, Families, military retirees and civilians by providing exciting and diverse events for all ages. We strive to provide quality programs and activities that result in improving quality of life with your service and sacrifice. 2019 will feature numerous entertainment options including Comedy Live at Rucker, Dueling Pianos, DJs and much more. You won’t want to miss these shows, so make sure to mark your calendars and purchase tickets early! 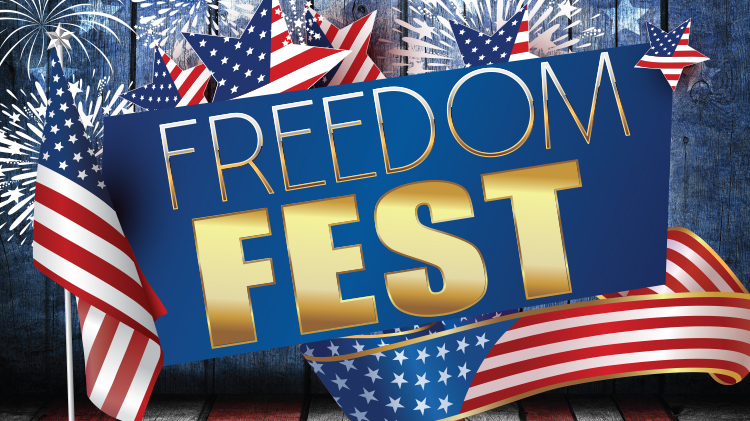 Hosted by the Commanding General, Freedom Fest is the premier event at Fort Rucker. This celebration of our nations Independence Day is held each summer and is open to the public. Thousands of spectators attend to enjoy great food, vendors, music, displays, games, and activities for all ages. In the spirt of Independence Day, the day culminates with the area’s largest fireworks display. Held in early spring, Children’s Festival offers military children and their families a wide variety of free games, crafts, and other activities to enjoy throughout the afternoon. The event also boasts one of the largest Easter egg hunts in the Wiregrass, photos with the Easter Bunny, and a variety of vendors. Children’s Festival is fun for the whole family! Day at the Lake is held the Saturday before Memorial Day and kicks off the annual opening of the recreational swimming area at West Beach, Lake Tholocco. The event offers contests, sand volleyball tournament and a variety of vendors; the swimming area features water slides and a floating trampoline. Admission to the park, swimming, and use of lifejackets, canoes, and paddle boats are free of charge the day of the event. The entire community is encouraged to enjoy the summer celebration and see why Lake Tholocco is the best place to be for fun in the sun! Oktoberfest, held each year at the end of September, celebrates German culture. The event features live German music, authentic German cuisine, including schnitzel and bratwurst, and plenty of German beer. Children’s inflatables, teen and adult activities, and a variety of vendors make Oktoberfest sure to please all ages. It’s a party you won’t want to miss! This outdoor event provides the opportunity for the Fort Rucker community to buy and sell used household items in a consolidated fashion. This is a bi-annual event held in the Spring and Fall. A large turnout is expected so rent your space early. Open to the public; booth space fees apply to sellers. This golf tournament is held every year in late summer. Tournament participants include local amateurs and professionals located in the Wiregrass area and throughout the Southeast. Format is individual stroke play counting the best two balls out of four. There are many festivities to enjoy throughout this weekend. To sign up or for additional information, contact Silver Wings Golf Course at (334) 255-0089. This event is held in November to celebrate the Month of the Military Family. Camping Under the Stars brings families together for a fun filled evening of storytelling, s’mores, movies, and camping at West Beach, Lake Tholocco. The annual Christmas Tree Lighting, held in late November/early December, is a family favorite. Area families wait in anticipation for the official lighting of the Post Christmas Tree and the arrival of Santa. Afterward, complimentary photos with Santa are offered inside The Landing. This event promotes the Christmas spirt and ushers in the holiday season.